A NUMBER OF people were injured after an acidic substance was thrown in a nightclub in London early this morning. 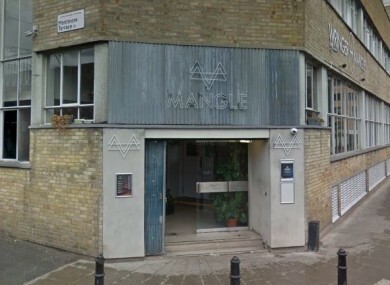 The Metropolitan Police, London Ambulance Service (LAS) and London Fire Brigade (LFB) attended the scene at Mangle E8 nightclub in east London. In a statement, LAS said it was called to the incident on Warburton Road shortly after 1am. “We sent multiple resources to the scene including paramedics in cars, ambulance crews, a number of officers an advanced paramedic and our hazardous area response team. Sky News is reporting that the manager of a nearby bar told his staff a woman’s face and armed were burned in an acid attack. One witness said they had seen a group of women pouring water on people who were apparently injured. Email “10 people taken to hospital after acidic substance is thrown in nightclub ”. Feedback on “10 people taken to hospital after acidic substance is thrown in nightclub ”.